Well, the word is out. Of the six people running, I know five, four of them reasonably well. I can only vote for three of them. Here’s the deal guys, I’m voting for all of you. That’s right, each and every one of you gets a vote from me. I visited Chicago once, I think I can manage it. Tom, Lynda, Pat, Louis, Andy, and the other guy, best of luck. Because I think he really can lead positive change in this great organization, I think you should vote for Andy Warren. He’s been a leader and an innovator in this business for quite a while. Getting on the board at PASS could really help out our community, especially the local users groups. I’ve said it before and I’ll say it again, Andy has ideas. Also, I kind of feel like I might have pushed him into the decision, a bit, so I bear a small measure of responsibility for helping him out. I understand that there will be limited edition stickers with this logo. Tom, my fingers are bruised from typing so much. I better get one (or two). 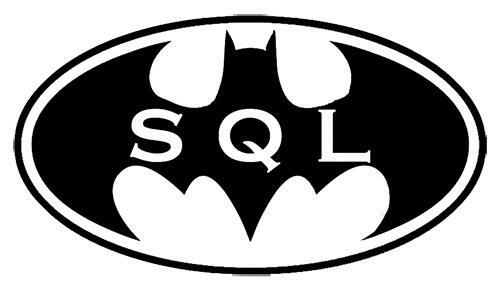 Go SQL BATMAN! To everyone running for the board, best of luck.